This was one of those albums that passed me when it first came out in the summer of 2011, then came back round. This is not a novel occurrence, what is though is the power with which it has come back around. Like a sling-shot round the moon hit between the eyes kinda power. 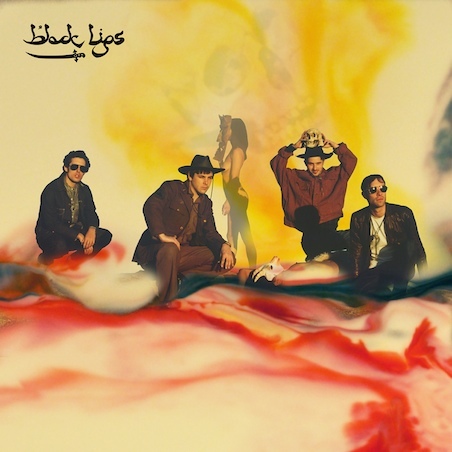 Black Lips are a bunch of guys from Atlanta in the USA who have released a bunch of albums, under the genre of ‘Flower Punk’. I’m not wholly sure what ‘Flower Punk’is, but Arabia Mountain definitely has the phlegm of the Ramones all over it, see track Raw Meat as testament to that. A bit of garage rock influence and some playful surf combine to make this something of a retrogressive delight. The fact that Mark Ronson got his grubby hands on it should not be a cause for concern, any horns on the album are used sparingly and remarkably to good effect, ‘Family Tree’ being a good example of that. Maybe it’s just my favourable listening to garage and all things dirty and sludgy right now, but there’s something about this album that sticks out for me. For one, it’s got a sense of humour, ridiculous conversational segues that end with ‘Dude trip out on this…’, songs about scavenging in dumpsters and comic book references abound. Also the sound treads the line between catchy rock n’ roll, country and punk better than anyone I’ve heard in a long time. Don’t take my word for it just stick the middle finger to SOPA and find out for yourself.